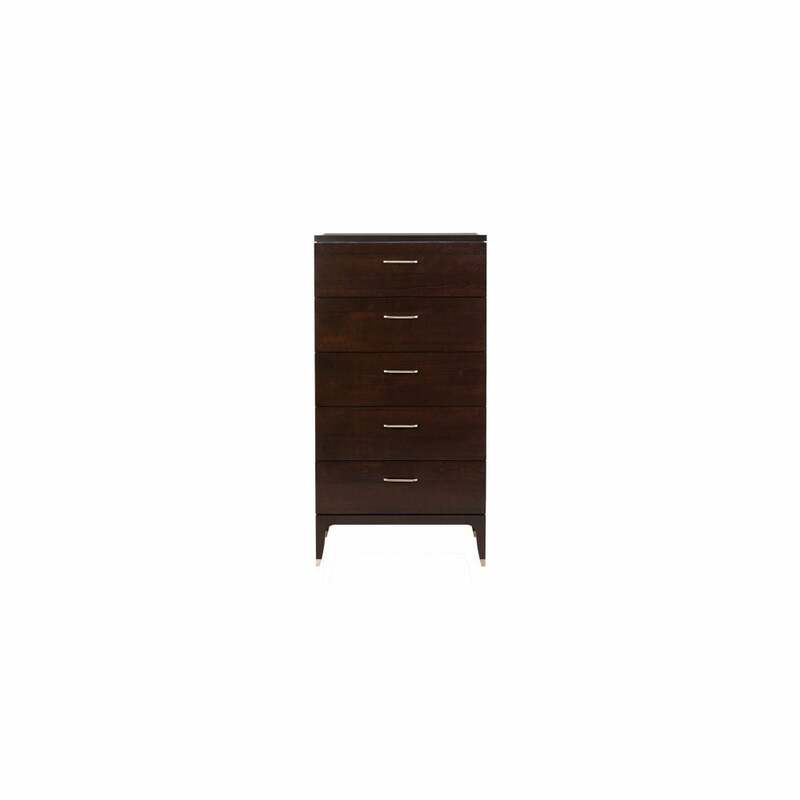 The tall 5 drawer unit of The Delano range is in perfect dimensions for those smaller spaces or small storage needs. Each drawer has smooth self closing motion for ease of use and function. Finished with a rich, dark polished cherry veneer, the surface has an almost mirror like quality, reflecting light and form whilst further illustrating the high quality and craftsmanship of The Selva ranges. Standing strong on solid beech legs with bronze-coloured tipped decoration for that little touch of luxury and interest, coordinating beautifully with the smart, bevelled handles and creating a contrasting union of colour and materials.